The application measures the level of battery wear and informs you about its wear level. According to this level, Battery Life will advise you if a battery replacement might be required. View in-depth raw data if you want more detailed information about your battery. Battery capacity, cycles, temperature and more. 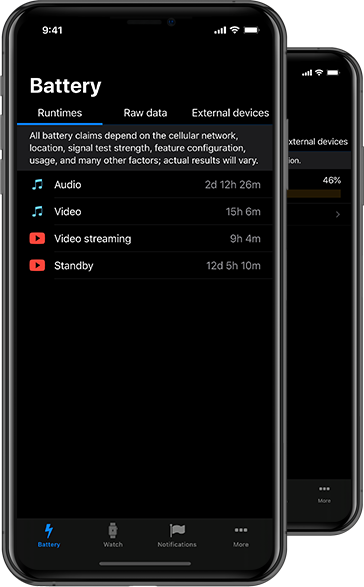 Most battery analysis tools will show you the runtimes of your device. But Battery Life is one step ahead: The app factors your wear level into calculations and displays the actual runtimes. How does Battery Life look like? Everything went well! We'll be in touch.